Are You Addicted to Workohol? Society tells us that working harder and working more hours is good, but if you have listened to this podcast for a while you know that it is actually damaging you, hard on your fellow employees and even detrimental your company’s success. Hello my cubicle crazies, open space supporters, corner office cohorts, home den devotees and coffee shop sycophants. My name is Brock Armstrong and I am not the workplace hero. Although, I have now uttered these words 29 times so perhaps I am the workplace hero? Who’s to say. Certainly not me. Before I go any farther down that rabbit hole, I have something to ask you: do you have a fitness plan? I mean a real plan. Beyond going out and half heartedly jogging around the block after you noticed how winded you got carrying some office supplies up a short flight of stairs? Well, if you don’t have a plan to combat that, I want to direct you to SkywalkerFitness.ca. That’s the fitness coaching business that I run. Whether you want to run a 10k or a marathon, race in a triathlon, put on some muscle, clean up your diet, or get totally ripped, I will create a plan specifically for you. No cookie cutter one-size-fits-all programs, just 100% tailored programs that fit around your life’s commitments. And for being a Workplace Hero, I will give you a special deal on your first 3 months of coaching. Head over to SkywalkerFitness.ca and send me a note referencing this podcast about being a workaholic so I can start building you the perfect program to meet your wellness goals. Well, a hard worker might stay extra hours right before a big deadline, but they don’t get to a point where they neglect family, friends, and their own health, to a sometimes irreversible point. A workaholic is someone who compulsively works long hours, often on the weekends, and through vacation time. They are physically addicted to work. This could mean 12-to-14-hour work days, every day. The hard worker is emotionally present for all family members, co-workers and friends, and manages to maintain a healthy balance between work and personal responsibility. Someone who has a periodic burst of overworking in order to meet an important deadline or an emergency situation is not a workaholic. A person who makes a resolution to save a high percent of their energy to bring home every night, and who puts a firewall around their weekends to protect themselves from work related temptations is certainly not a workaholic. Workaholics are obsessed with their work performance and hooked on an adrenalin-high… a rather mundane one but one none-the-less. A workaholic is hell bent on self-aggrandizement, they are ego-driven folks who are obsessed with reaching one goal, and then immediately set another more ambitious goal on its heels. For a workaholic, staying at the same level of accomplishment is considered a failure. If left unchecked, a workaholic will experience a breakdown where conscious and unconscious stress causes them to suffer panic attacks, claustrophobia, depression, and with nearly 100% compliance, acute sleep disturbance. According to an article at PsychologyToday.com, many workaholics were forced too quickly into adult responsibilities because of situational circumstances such as a parent’s illness, a death in the family, or separation of the parents. Others come from families where there is a doing-performance-oriented value system where conditional love is granted if the child exceeds expectations, and makes the family proud. Workaholics were often the “good kid” who does well at school, excels at sports, and doesn’t cause much trouble. One of its sources is reported to be the possibility that these overly-responsible adults never had a carefree childhood. While we are on the topic of being overly-responsible, a friend of mine (hi, Karen) once diagnosed me with a condition called ODSR or Overly Developed Sense of Responsibility. I love this term. Since being diagnosed with ODSR, I often find myself asking myself “do I really need to get this done right now or is that my ODSR talking?” Often by simply asking myself that question, I can back off the project and relax for a while. It’s like a mental cue to take stock, and a deep breath, and look at the moment for what it really is. Which is much better than what I used to ask myself when I was a stock boy at a liquor store… which I won’t get into for fear of giving you all the wrong impression of me. It was a long time ago. I was young and floundering… anyway. The PsychologyToday article defined a workaholic as a “work-obsessed individual who gradually becomes emotionally crippled and addicted to power and control in a compulsive drive to gain approval and public recognition of success.” These driven men and women live a Gerbil-wheel, adrenalin-pumping existence rushing from plan A to B, narrowly-fixated on some ambitious goal or accomplishment. Eventually, nothing or no one else really matters. Work is essential for their well-being, and integral to their identity. They suffer profound emotional distress when they lose a job, or cannot do their work for whatever reason. Which indicates that they hang a large amount of their self-worth on their work rather than something more meaningful and controllable. The alarming number of employees on prolonged stress leave is evidence that physical and psychological health do break down, especially during these entrepreneurial times when workaholic bosses of lean startups place unreasonable demands on their staff. Although, I think it is prudent to point out that one does not have to have a paid job to be a workaholic. Many perfectionistic homemakers, parents and students suffer from this serious affliction. But for our purposes, we’ll stick to the workplace… since we are workplace heroes, after all. Chances are, as you were listening to the beginning of this podcast you identified yourself as either a workaholic or not… but just in case, here is a list from Forbes.com that will help you narrow yourself down. Workaholics are typically the first to arrive in the office and the last to leave, or they log in after hours and work into the night. Do extra hours equal productive hours? Not often, studies say. Instead, experts say that breaks, time off and self-care enable more productivity in fewer hours. Workaholism isn’t simply defined by working long hours. True workaholism is the inability to turn off thoughts of work. A workaholic is someone on the beach who is dreaming about being back in the office where a healthy worker is in the office dreaming about being on the beach. And while we are talking about it there are benefits to daydreaming. If I’m dreaming about being on the beach, I can be doing a bang up job, but I’m more calm and relaxed and excited about that possibility. Pleasant daydreams allow us to trigger our parasympathetic nervous system, or our body’s “rest and digest” response. But conversely, work worries – even on the beach – activate the body’s stress response. The more you can turn off outside the office and stay calm during work hours, the more you activate your parasympathetic nervous system and disarm your body’s stress response. It doesn’t matter where you are, it matters what’s going on inside of you. Workaholics have a lot of bad habits that can hamper health. Constrained for time, some turn to junk food, some inhale lunch at their desks and others skip meals altogether. Exercise is often abandoned and sleep habits get thrown off schedule. Mental health experts who specifically treat work addicts consistently see the same ailments among the overworked: gastrointestinal problems, headaches and migraines, weight gain or loss due to poor diets, increased irritability and tiredness, heavier drinking as a form of stress relief. When your stress response is trumping your rest and digest response, what happens is our body secretes cortisol, adrenaline and a lot of other hormones that are really detrimental physically. We know for a fact these things lower our immune system. They clog our arteries. And they create all kinds of other physical illnesses. Workaholics need to look no further than to their loved ones for signs of their work addiction. Family members and close friends are often the first to feel their absence. When people who love us tell us, ‘I never see you’ or ‘you’re never around,’ it’s time to reevaluate our work-life balance. Workaholics tend to miss important life milestones like anniversaries and birthdays because of work. They have a hard time saying “no” to the boss and an even harder time saying “yes” to the family. Relationship issues tend to surface with one or more workaholic in a couple, the divorce rate is 40 percent higher. And children of workaholics tend to have more anxiety or depression. Workaholics often define their self and self-esteem by achievement only. The culprit is perfectionism. With a workaholic’s unrealistic expectations, a person will rarely feel satisfied with themselves. But is is easier said than done to let go of perfectionism and unhinge your self-worth from your performance. Ok. Enough of the doom and gloom! If you are one of these unfortunate souls, what can you do? How can you break out of this downward spiral? Well, here are a few hints from Inc.com for how you can become (or remain) a good and hard worker, without overdoing it and becoming a workaholic. 1. Learn to shut it down. Make a pact with yourself that you will not work past a certain time, and honour that time to shut everything down. Learn to walk away. For me, deciding to never check my work email after 8:00 pm was a great step in the right direction. A small step but a good one. Learn to give yourself breaks during the workday, even if they’re small ones. Go out for lunch instead of eating at your desk. Take a short walk around the office or a quick trip to a nearby park. Anything that changes the scenery. Even 10 minutes away can make a world of difference. I have started taking an hour mid-morning to workout. I do some work, catch up on email and then when all the fires are out, I go for a run or hit the gym and come back to my desk more focussed and already feeling accomplished. You may be among the many people who believe that long hours demonstrate your great work ethic and that those who take breaks (or spend evenings, weekends, and vacations disconnected) are lazy or less committed. But that way of thinking is outdated, inaccurate and so very unhealthy. So push back when you catch yourself giving in to those thoughts. Remember, what you think is what you are. Don’t be that guy. When you are consumed with work and are acting as if your life were dependent on your job, you’re likely damaging your health and relationships. You need to take the change you are trying to make seriously. Sit yourself down and write out your goals. Re-listen to this podcast! And if need be, consider getting professional help to learn better skills for balancing your life. Talk to your HR department about getting help now rather than talking to them about taking stress leave later. 5. Don’t bring it home. Many people who are prone to chronic overwork also have trouble setting and maintaining boundaries. As a starting point, make a work schedule and commit to it. If you need to include some late evening or weekend hours, that’s fine–but do it intentionally, based on schedules and patterns, not just because you’re already there and you haven’t yet dropped from exhaustion yet. 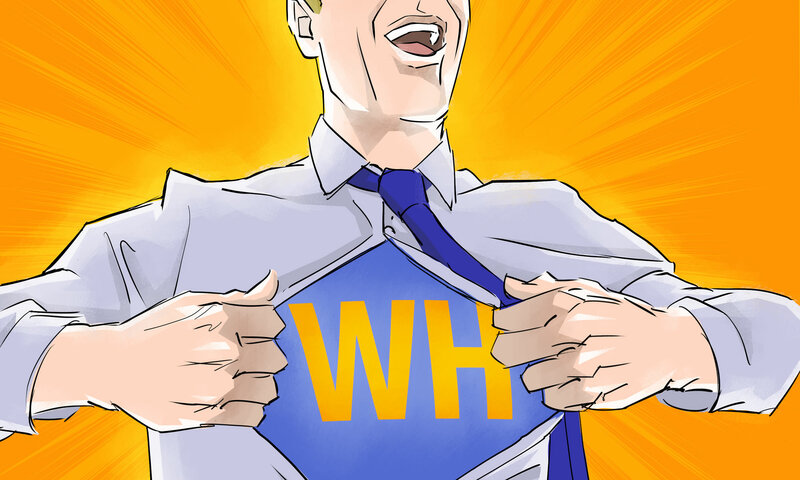 Check out http://www.workplacehero.me/worcation/ for more info on that. Ok, time for your homework! I want you to go over to the website psychologia.co/quiz-are-you-a-workaholic/ and take the test on that webpage. If your result reads like mine did, well then you should probably rewind this episode and listen to it again. Especially the last part with the suggestions of what you can do to set healthy boundaries. Being a workaholic doesn’t benefit anyone–not you, not your team, not your organization, not the world. So let’s bust this thing wide open. Shut it down, switch your mindset, take it seriously, and take care of yourself. You’ll be much more effective (not to mention happier) when you acknowledge that self-care keeps you not just in the game but at the top of it. Before we wrap up completely, i just want to say that I can’t believe this is the 29th episode of Workplace Hero. That may not seem like a significant milestone to you but it is to me… and I will explain why in next week’s episode. But in the meantime, I would love to hear from you. How has this podcast helped you? What was your favourite episode? Who was your favourite guest hero? Anything you feel like telling me – leave me a note on Facebook, Twitter, or the blog post for this episode at workplacehero.me/workaholic or you can even go old school and send me an email at podcast@worplacehero.me. Whatever tickles your fancy. It would mean the world to me if you reached out. Workplace Hero is researched, written, narrated and recorded by me Brock Armstrong in rainy downtown Vancouver. Artwork by Ken Cunningham. Music by my old band, The Irregular Heartbeats. Today’s heroic topic was suggested by my buddy Justin who I believe is currently expanding his mind in the black rock desert. Now, you know what to do – go make this week count! You definitely nailed it for me, thank you!